One of the most scenic places to play golf in Central Otago, Arrowtown Golf Club has been rated the 20th best course in the country. The 18 hole course is surrounded by the Remarkables mountain range as well as other hills of the Queenstown-Lakes region. 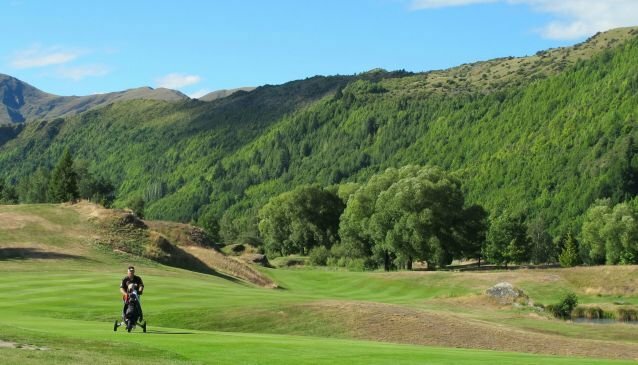 The holes on the course all have names relating to Arrowtown’s fascinating gold-mining history, and a historic stone cottage once used by Arrowtown’s pioneering settlers also has pride of place on the course, completing the rustic feel and transporting the golfer back to times gone by. The club welcomes new players and non-members. Open seven days a week, all year round.